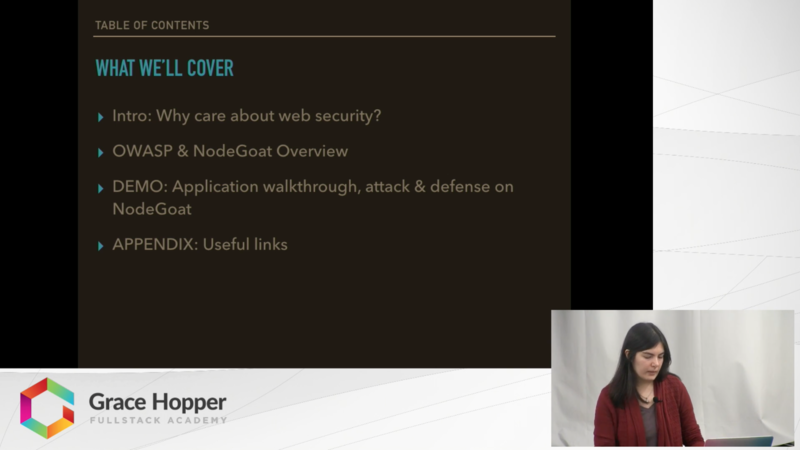 In this video, Harmony Dashut talks about learning web security using NodeGoat. NodeGoat is an application built by OWASP using Node.js and was made to be purposely vulnerable to many OWASP top ten web vulnerabilities. This is a powerful tool to practice common attacks to learn how they work, and inversely you can also learn how to defend against these vulnerabilities by fixing them in NodeGoat yourself. In this talk, Harmony gives a demo of how to use NodeGoat as an effective learning tool.